Today is my last day in the States after a brilliant three weeks spent getting married (!) and taking a road-trip honeymoon from Kansas to California. 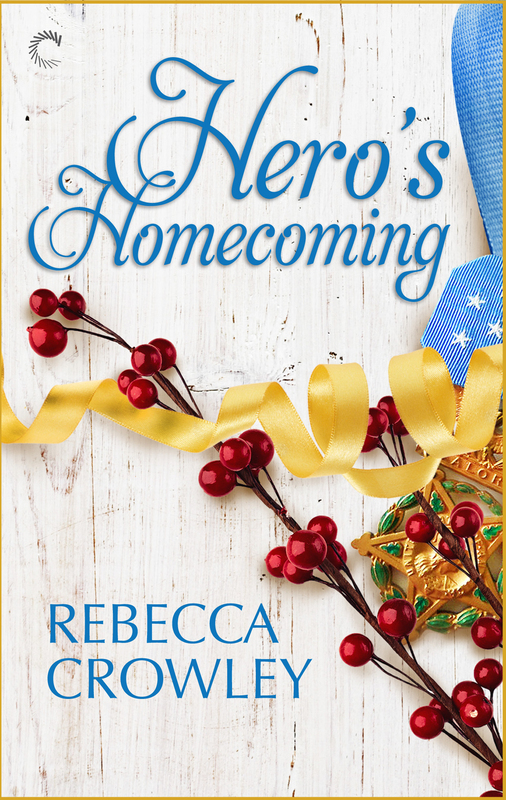 A full recap entry is forthcoming, but in order to cheer myself up ahead of the 40ish hours of travel awaiting me tomorrow – and in honor of the Christmas decorations I saw for sale in Topeka’s Cracker Barrel restaurant last night – I thought this was the perfect time to reveal the cover for Hero’s Homecoming, my military holiday novella! I’m so proud of this novella, which is significantly darker and more angsty than The Striker’s Chance, and I’m hopeful readers will love it as much as I do. It’s available now for pre-order on its own from Amazon, Amazon UK, and Barnes & Noble or as half of the Gifts of Honor anthology alongside the inimitable Stacy Gail! This entry was posted in writing and tagged Carina Press, cover reveal, Gifts of Honor, Hero's Homecoming, military holiday novella, novella, romance by Rebecca Crowley. Bookmark the permalink.